To finish the final months of the term that Seattle City Councilmember Rob Johnson vacated, Alex Pedersen, a leading candidate to represent District 4 for the next four years, is calling on Councilmembers to appoint a "caretaker" with strong financial experience to ensure that Seattle's $6 billion budget is accountable to residents and solves problems such as reducing homelessness.
" The most important job for the caretaker Councilmember during the next seven months is to ensure the city's $6 billion budget is analyzed and amended to produce the best results for residents, which must include reducing homelessness ," said Pedersen. " Instead of using political litmus tests and backroom pledges of loyalty, I urge the City Council to appoint a skilled professional with the financial skills and affordable housing experience necessary to be accountable to the 100,000 residents of District 4." The City Charter clearly states that City Councilmembers must appoint someone " who shall possess the qualifications required. .." (Article XIX, Chapter 5). The Mayor will propose her $6 billion (all funds) city budget in September giving the City Council only a few weeks to amend and adopt it with a key aim to reduce homelessness.
" Candidates for this important job need to know what they are doing with budgets and homelessness so they can hit the ground running to get results for the residents and neighborhood businesses of District 4," said Pedersen. "For the sake of the 100,000 residents of District 4, appointing a caretaker is no time for 'amateur hour' ," said Pedersen. Consistent with his pledge to deliver sustainable positive results for his district, Pedersen did not apply for the appointment so he can focus on the actual four-year position that voters will elect in August and November. According to Seattle Ethics and Elections (SEEC) data , Pedersen is the leading overall fundraiser (donations + vouchers), was the first to qualify for vouchers, an d has received more donations from his own district than any other District 4 candidate. City Council President Bruce Harrell's March 21 press release stated the Council "should appoint an experienced ‘caretaker’ who agrees not to seek election to the Council this year." On April 8, the City Clerk's Office announced several applicants for the seven-month caretaker position. The Council is scheduled to appoin t the caretaker by April 25. According to the City Clerk's website, "Because the vacant seat is up for election, the appointee will serve until the election results are certified on November 26, 2019, at which point the newly elected Councilmember for District 4 will be sworn in and immediately take office." Most recently, the Council appointed John Okamoto to finish the term of Sally Clark in 2015 and appointed Kirsten Harris-Talley to finis h the term of Tim Burgess (who was elevated to Mayor) in 2017. Resignations and vacancies are governed primarily by the City Charter, Article 19 . 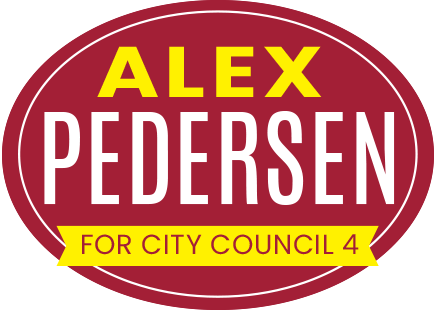 Alex Pedersen, a progressive results-oriented Democrat, is the first candidate in the entire city to qualify for the city's Democracy Voucher program in this year's Council campaigns and has also been a leading fundraiser as he runs on a platform of accountability, transparency, and results. 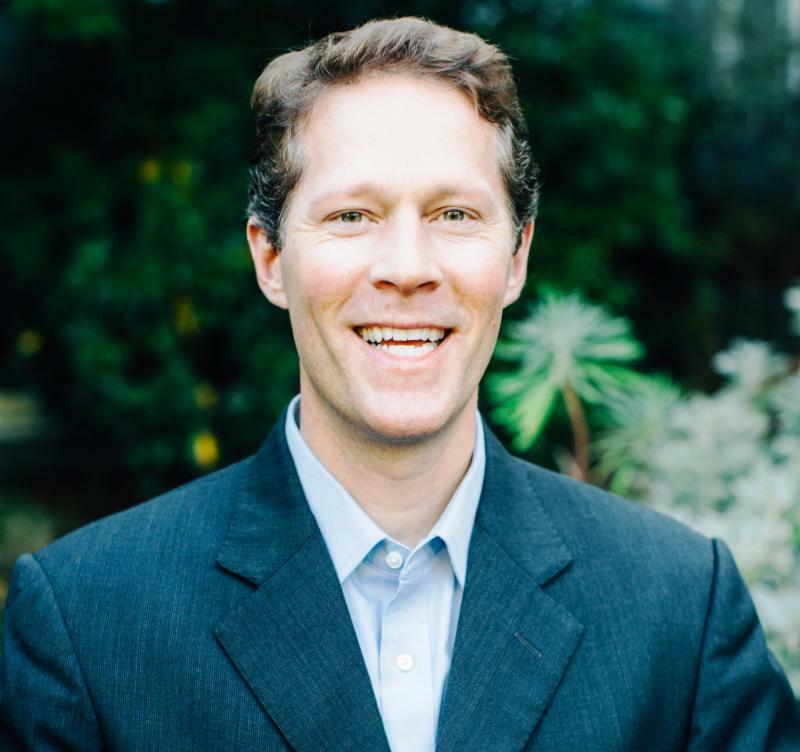 Pedersen announced his campaign on November 28, 2018 for District 4, which Rob Johnson was planning to leave December 31, 2019. District 4 is home to approximately 100,000 residents in 20 neighborhoods including Bryant, Belvedere Terrace, Cowen Park, Eastlake, East Fremont, Hawthorne Hills, Inverness, Laurelhurst, Magnuson Park, Maple Leaf, Ravenna, Ravenna Springs, Roosevelt, Sand Point, the U District, University Park, View Ridge, Wallingford, Wedgwood and Windermere. For link to photo, CLICK HERE .